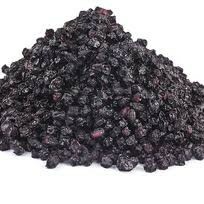 .Elder Berries Whole 1 Pound Sambucus nigra .Certified Organic fresh new lot!Elder Berries Whole 1 Pound Sambucus nigra Certified Organic fresh new lot! This item will ship separately from other items so ordering other items may incur an additional shipping charge.. Recipe for elderberry syrup included. Maximun 8 pounds per person per day. . I've been ordering the dried berries for my homemade syrup and this works so well. Customer service is quick and happy to help, really appreciate it!